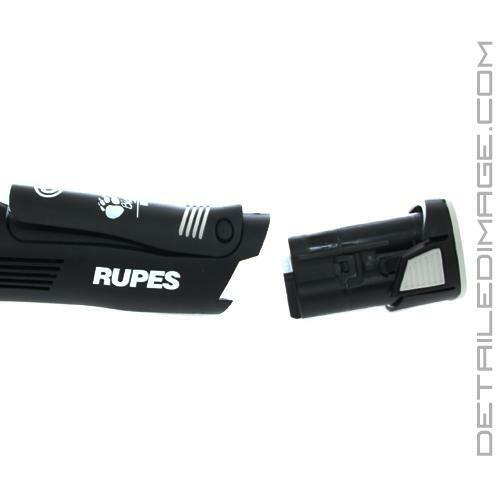 The Rupes BigFoot iBrid Nano, in short, is a small handheld polisher that will allow you to polish tough to reach spaces. It is the first buffer of it's kind that gives you unparalleled access to tight spaces in a battery powered polisher. iBrid allows the user to switch between rotary, 3mm random orbital, and 12mm random orbital actions very quickly. This gives you an unparalleled amount of versatility and power for any job you throw at it. 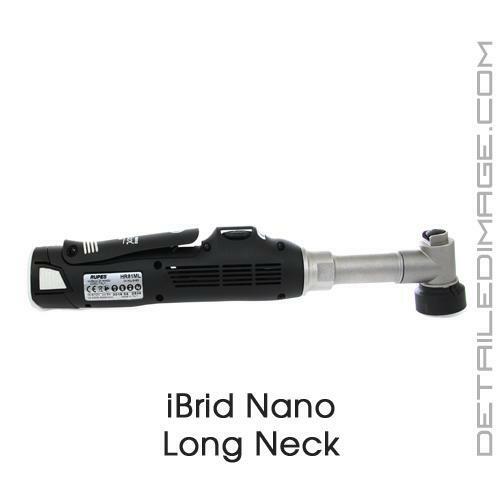 Heavy imperfections, light imperfections, swirls, RIDS, it really does not matter, iBrid will remove these imperfections with ease! Just press the lock button at the top of the head of the polisher to release the backing plate. You can then attach any of the backing plates you desire, pads (1.25" and 2" sizes), brushes, accessories, etc. 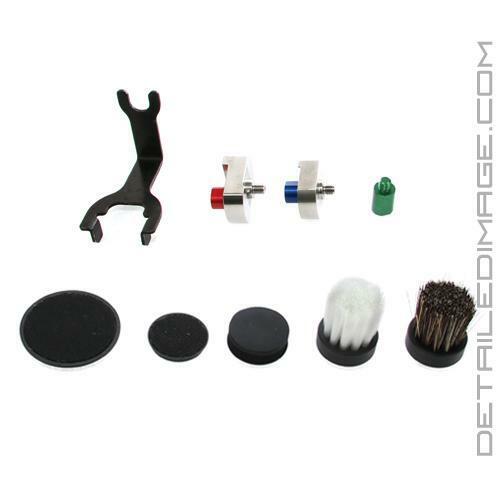 The L DLX Kit and DLX Kits both come with pads, polishes, backing plates, and a brush to help you clean hard to reach areas such as areas on your paint, near headlights, side skirts, wheels, etc. 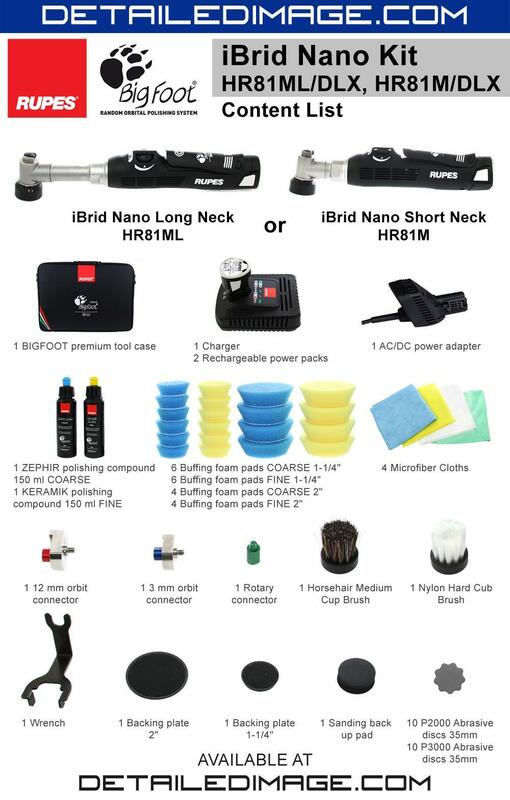 If you do not want to pick up all these accessories, the Long Neck and Short Neck sizes come at a lower price point, without any pads, brushes, backing plates, etc. You can however pick up any accessories you desire individually here. The compact and lightweight design make this unit easy to hold with only one hand and the start/stop lever is found on the handle, making starting and stopping very easy. The on/off speed control dial features five working speeds (0-5 at 2000-5000 RPMs) and a soft start control. Everything we have listed seems pretty amazing right? Well there is more! 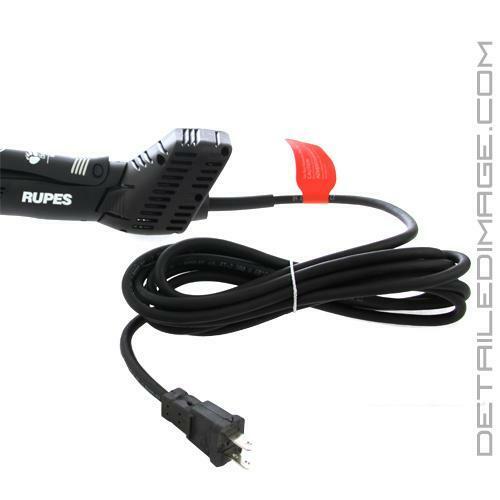 Have you ever been burdened by a corded polisher and wished you had a battery pack? Well the iBrid has made that wish come true. iBrid can not only be used with a cord, but with a battery as well! Each unit comes with a "Plug & Play Power Supply" which allows it to act like any other corded tool, but it also comes with two Li-ION battery packs and a battery charger. 22-24 minutes is all you will need to charge the battery and each charge will give you 30 minutes of run time under full load. The two battery packs allow you to use one in the tool, while charging the other. You will always have a battery charged and ready to switch out. Speaking of switching the batteries out, this is as easy as it is to switch out a backing plate. On the base of the unit there is two clips that when depressed will release the battery. Pull the old one out and slide the new one in, it is that easy! LED indicators on the unit and the battery charger will keep you informed on how much power you have left in the battery pack you are using, and when your backup is charged and ready to go. 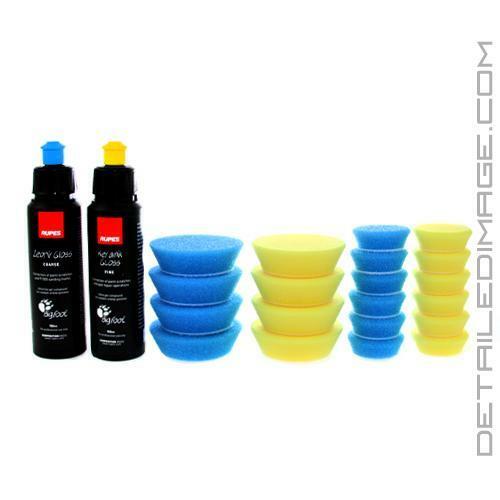 If you have a larger polisher and are looking for something to tackle small areas this is perfect for you. This will be an incredibly effective tool for motorcycle details, spoilers, front bumpers, side mirrors, door handles, air intakes, side scoops, etc. 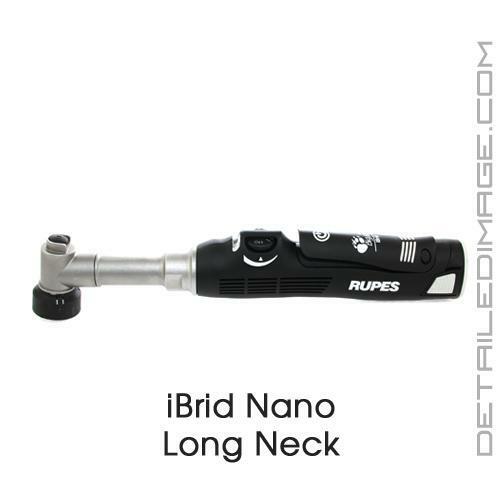 the Rupes BigFoot iBrid Nano will be an amazing addition to your detailing collection! This unit does not come with any power supplies or accessories, it is just the bare unit. If you do not pick up the L DLX or DLX Kit and opt for this individual unit, you will at a bare minimum have to pick up a function unit (da or rotary), backing plate and a power source (i.e. 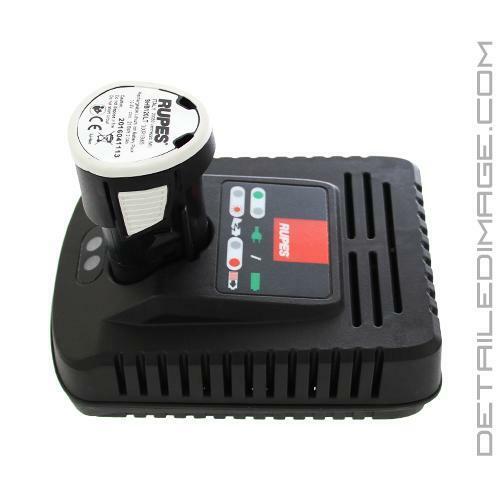 battery and battery charger or AC-DC Adapter). 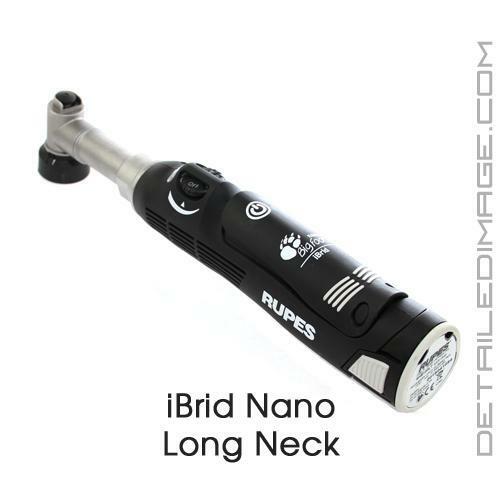 Rupes BigFoot iBrid Nano Long Neck Starter Kit - Comes with the bare essentials needed to use the iBrid Nano right out of the box, at a discounted rate! 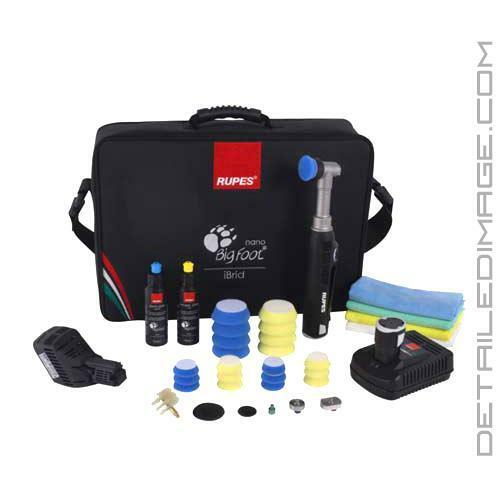 Rupes BigFoot iBrid Nano Short Neck Starter Kit - Comes with the bare essentials needed to use the iBrid Nano right out of the box, at a discounted rate! Great addition to my buffing arsenal. Made tackling small areas and any small scratches much easier and less invasive versus using the larger DA's. Paint correction surgery! Also comes in handy when polishing wheels for coatings. I was able to get into all areas of the wheel. I love this kit! I have used it for several months now and I don't know what I would do without it! It is great for mobile detailing when the customer wants isolated scratches removed. It is also great for high end paint correction when you want to make sure every square inch of the paint is in perfect condition! 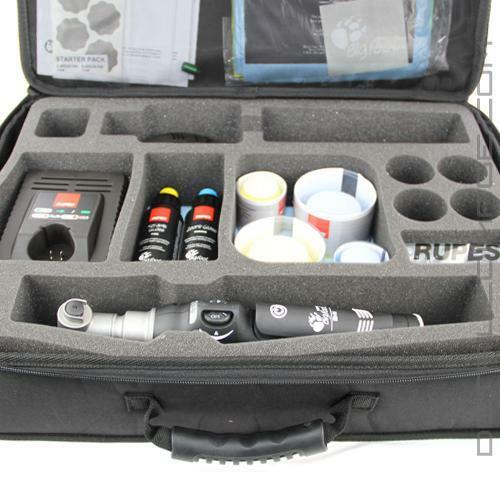 The Deluxe Kit is a great value for money because to get all of these items individually it would cost over $1000.00. I've been waiting over 2 years to make the purchase. Totally worth the cost to get the entire kit versus just the buffer. Will be needing a short neck soon . You guys are amazing with the service and products. You have a life time buyer here.